Membership is very important, especially if you are a regular consumer of the products that you buy or you are always acquiring the services that are being offered by an establishment or organization. It is very essential for someone to sign up for membership as it can provide the person with advantages that nonmembers may not have. There are many kinds of membership and there are also different processes and guidelines on how you can get the perks from the membership that you have signed for. 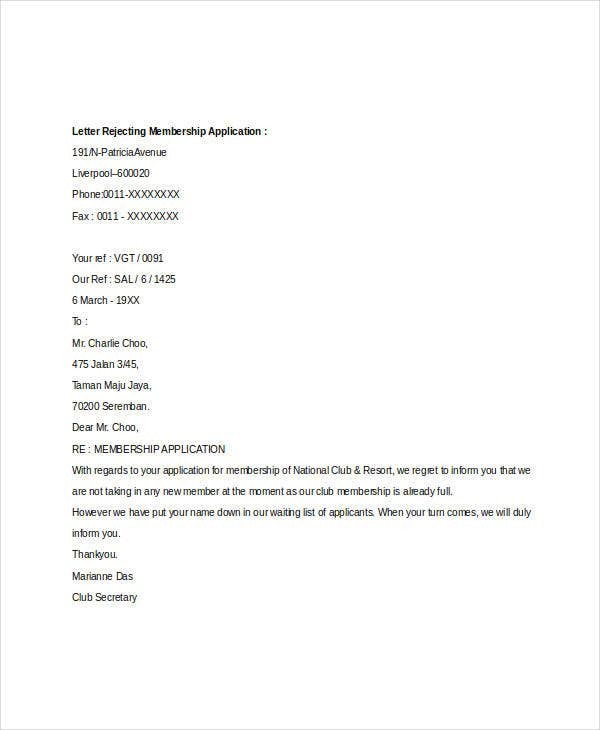 Other than our membership application letters, you may also download our Letter Template, which you may use as a guide in creating letters intended for different purposes. A club membership is one of the famous memberships where you may sign up for. 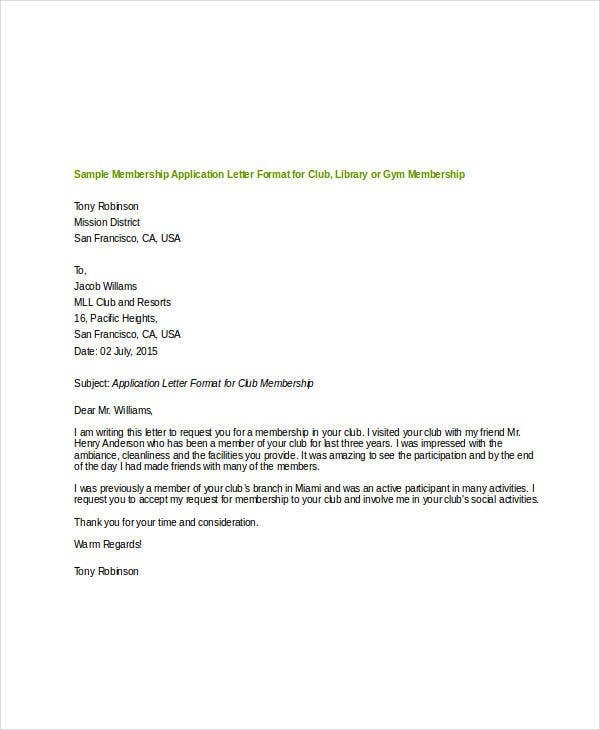 A membership application letter would most likely help you to get in a club especially if the letter that you have written is well curated and is in line with the club activities. Some clubs though have qualifications for a person to be considered as a member. 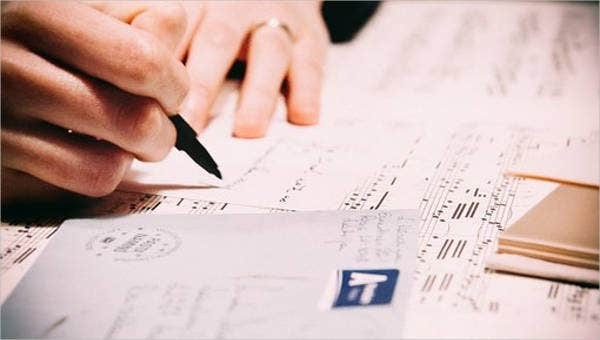 A health club needs a membership application letter for them to know whether the health activities, practices, and products that they provide are applicable to your health condition. They also need to know your capacity to do the activities that may be offered to you when you have signed up for membership. 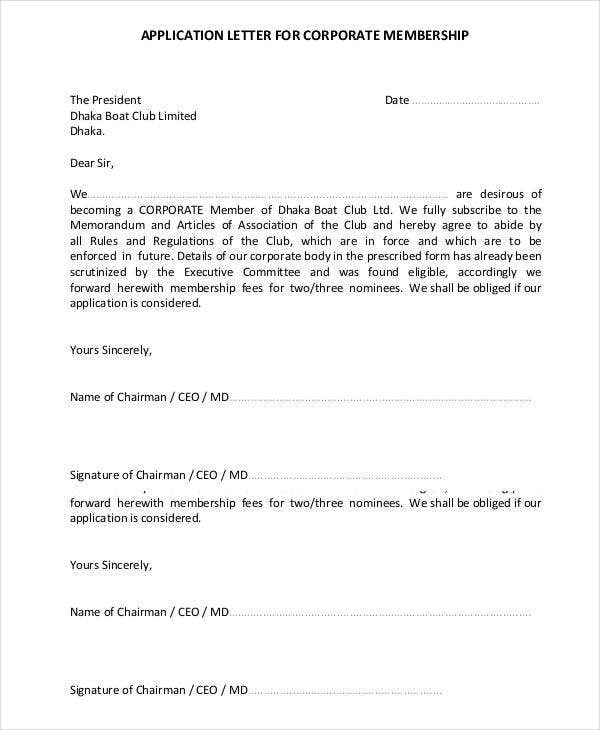 A leisure club also needs an application letter for membership as their services come with different amount of fees and terms. Usually, resorts and other luxurious destinations and facilities offer leisure club membership to their loyal clients. A sports club may also require you to write a membership application letter as it will allow them to know your needs and why you want to be a member of the sports club. It will also allow them to initially assess your physicality and know if the services and activities that they provide are appropriate for your physical needs. 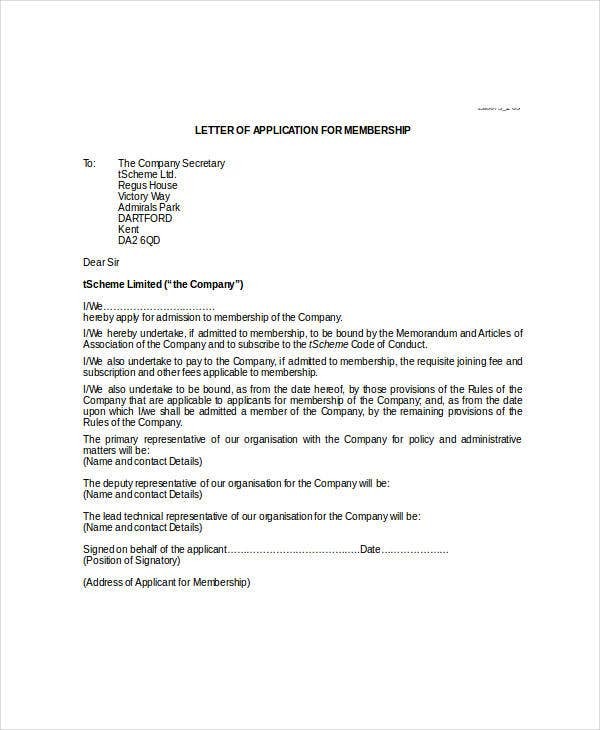 Other than our membership application letter samples, you may also download our Application Letter and Legal Letter templates which you may use for the specific purpose that they may serve. Remember that the perks of having a shopping membership depends on the establishments where the membership is for. 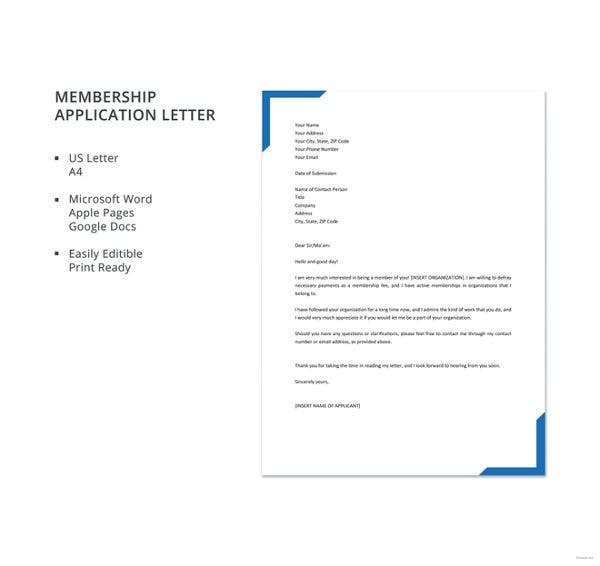 Aside from our membership application letter templates and samples, you may also download our Business Letter and use it for professional and formal functions.